The intention is for the two leaders to meet at the G-20 Summit at the end of November in Buenos Aires, Brazil. Although a definitive agreement is unlikely, at least the leaders can establish a framework for subsequent discussions. As with any complicated set of issues, the devil is in the details. Secretary of the Treasury, Steven Mnuchin is continuing telephonic discussions with Vice Premier Liu He on the need for and the structure of talks at the G-20 Meeting. 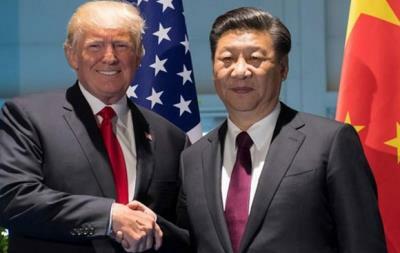 America has invited China to present concrete solutions to the various points of contention including misappropriation of intellectual property, state support of companies competing with the U.S. and manufacturers in other nations and coercive interaction with American companies doing business in China. Predictably Chinese negotiators are reluctant to put forward any proposals before discussing an agenda since this may lock them into a disadvantageous negotiating position. Over the next two weeks, it is anticipated that Mnuchin will make progress now that the mid-term election has passed and the financial impact of tariffs is becoming apparent both in the agricultural and manufacturing sectors of our economy. Division within the Administration has been a consistent deterrent to establishing a coherent and common negotiating strategy. Authorities in China have frequently complained that they are hearing conflicting messages from Washington. U.S. Trade Representative Robert Lighthizer maintains that tariffs will ultimately bring China to the table – but at what cost? Uber Hawk and Sinophobe Dr. Robert Navarro, the White House Trade Advisor appears to be the major opponent of any concession or reconciliation with China. Navarro, speaking at the Center for Strategic and International Studies on November 9th, deprecated the efforts of prominent business leaders to “influence policy”. He stated, “Consider the shuttle diplomacy that is now going on by a self-appointed group of Wall Street bankers and hedge fund managers between the U.S. and China.” He added, “the mission of these unregistered foreign agents – that’s what they are, they are unregistered foreign agents – is to pressure this President into some kind of deal.” These comments were countered on Tuesday November 13th by Larry Kudlow, Economic Advisor to the President noting that Navarro’s comments represented his personnel views which are not necessary shared by the Administration. Speaking on CNBC Kudlow opined “I think Peter badly misspoke—he was freelancing” It is understood that subsequent to his speech, Navarro will now be required to clear public comments with the White House. Navarro’s comments were the subject of a caustic and uncomplimentary editorial in the November 13th edition of the Wall Street Journal. Navarro was accused of attempting to treat China like the former Soviet Union, threating Americans that disagree with him as “boxing in his Boss and denying him the flexibility to do a deal.” It would appear to be self-defeating to criticize directly or by implication, business leaders such as Steven Schwarzman of Blackstone and former Treasury Secretary, Hank Paulson who have considerable experience both in the business world and in international relations. Hopefully reason will prevail and negotiators on both sides can address the divisive issues most of which involve unethical and self-serving policies instituted by China. Resolving the current crisis is necessary as tariffs have seriously impacted soybean and other agriculture exports. By the same token the economy of China has been adversely affected by tariffs on $250 billion of exports to the U.S. Premier Xi needs to expand his Nation’s economy to maintain political harmony. President Trump also needs a growing economy in anticipation of a second term. Perhaps a good starting point would be to place a moratorium over tariffs on the remaining $200 billion of goods still unaffected by the 25 percent imposition, and due to take effect on January 1st 2019. The threat of escalating tariffs should serve as leverage in negotiations with China. If an accommodation is to be reached, some concessions on both sides will be necessary but it is imperative that the Administration speak with a single voice.